Beautiful elements pack in lovely shades of icy white, soft grey soft pale blues and violets. and green. 7 beautiful shaded and textured papers in soft greens, lilacs and blues to coordinate with the patterened paper of seaholly. Also one white icy page with page curl. Do you like surprises?!? You will have many in this Grab Bag! There are 5 brand new products, when sold separately they are worth $23.00. You can buy them now for only $5.00 and to save 78%. WOW really.........then what are you waiting for? If you would like more freebies......come on over to the FORUM! 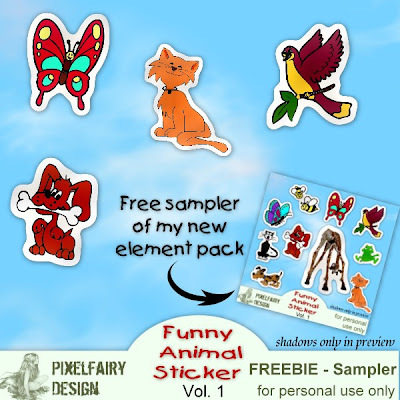 Easy to use inspiration at your fingertips! Fully layered templates in .psd format and .png format. All layers are named for easy identification, complete instructions included!For use by programs compatable with .psd layers or .png files. Ever wonder how it would feel to ride aloft on a petal-butterfly’s wings? Here are some delicious Petalicious elements and papers to wing you on your wayward adventure! The petals of a garden flower graciously lent their soft colours and textures so I could make this delightful kit! Ten kits in all so make sure you have got them as they will no longer be free at the end of the month. MoMo has just joined us and her kits are fantastic! with these gorgeous new product! Sunken Gardens is full of Elegant Elements and rich Textured Papers, Beautiful Flowers, Satin Ribbons, Jewels and a Romantic Gazebo, just to name a few. Perfect to scrap all of the many memories of all the loved ones in your life. Papers are 12x12 and both elements and papers are saved at 300dpi. Personal Use, S4H and S4O. This pack contains 6 beautiful flowers from my garden. They were carefully extracted. There are many uses for these flowers. You can color them to suit your color scheme. All are saved at 300 dpi. No credit is required but it is always appreciated. This Grab Bag is stuffed to the top of the box with over 75 MB worth of CU, S4H, S4O and personal use fun! is the perfect kit for all of your memories and for the butterfly lovers. It has butterflies everywhere. There are 15 papers and over 65 elements. The papers are all 12 x 12 and both papers and elements saved at 300 dpi. Personal Use, S4H and S4O only. 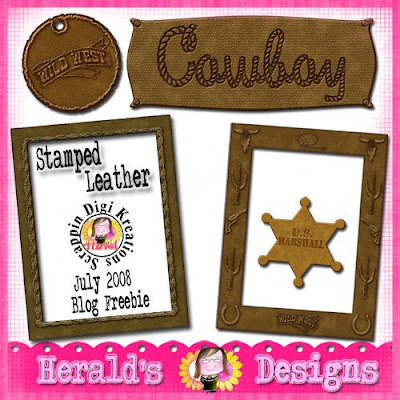 This cute little freebie bought to you by Herald - click on the preview to get the freebie! Look what Kristi's got for you!!!! Designs by Moo This script was created in psp9, and tested in both psp9 and pspX. These will create beautiful butterflies for you that would compliment any scrapkit or tag. Set your foreground to a light color. Set your background to a darker complimenting color and hit run! Have fun with these adorable butterflies! The butterfly series :) I have included the body for you in png format so once you have run your script simply add it as a new layer to finish your little butterfly. There is one in color and one in greyscale for you to colorize as you wish. Create your own tag in the form of a bag. After creating a nice tag you can also use these elements for hybrid scrapbooking. Print it twice and you´ll get a nice greeting card! The template is about 2000 x 2000 pixel. The pack contains a PSD- and UFO-file. Commercial use for digital kits is ok, no credits required. Don't forget our blog has moved to here...www.scrappindigikreations.com where you will find all the latest updates on what is happening at SDK. Yep that's right we have moved our blog to www.scrappindigikreations.com. You will find lots of info on our new blog, not to mention this is where you will be able to get your blog freebies from now on. Plus you will be able to get the latest updates sent straight to you, just click on our RSS feed button. But if you like to keep visiting this blog that's ok too cause we are having RSS feeds sent here as well.....hehehe.